This vintage volume contains a general and instructive work on many aspects of angling. It was intended to present the instructive and practical element as vividly as possible. Every branch of the 'gentle art' has been touched upon, presented in clear, concise language and accompanied by a plethora of detailed, useful illustrations. 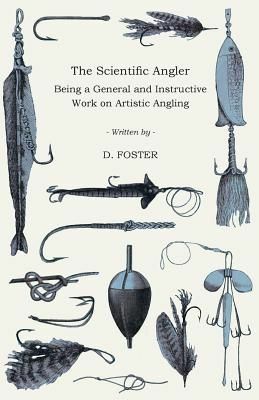 This volume will greatly appeal to anyone with a keen interest in fishing, and it would make for a wonderful addition to collections of allied literature. The chapters of this book include: 'The Habits and Haunts of Fish', 'Bottom Feeding', 'Pike Fish', 'Spinning for Trout', 'Worm Fishing for Trout', 'Grub Fishing for Grayling', 'Piscatorial Entomology', 'On Fly Making', 'Fly Fishing for Trout and Grayling', 'Live Fly and Beetle Fishing', 'Salmon and Sea Trout Fishing', 'Amateur Tackle Making', et cetera. This antiquarian volume is being republished now complete with a specially commissioned new introduction on the history of fishing.